Your legacy will inspire others. We’ve been disrupting higher education since 1872. It’s this bravery that fuels our mission to serve students’ needs as we encourage them to push forward toward their goals. Learn more about Maryville’s legacy. Everyone learns differently. That’s why we provide you with support from a student advisor the entire way. Together, we’ll learn your strengths and develop a plan that fits your needs. Your future is a personalized path. Your education should be, too. Get the support you need — every step of the way. We believe everything in the classroom should be challenging, and everything outside of it should be easy. That’s why we streamline the admission process, provide helpful transfer guides, and offer personalized support throughout your educational journey. Choosing to further your education is a brave step. It’s also a big one. You want to choose the right university — one with regional accreditation and a reputation for delivering a high-quality, respected curriculum in the online environment. Maryville University’s online bachelor’s, master’s, doctoral, or certificate programs can help you reach any goal you dare to set. 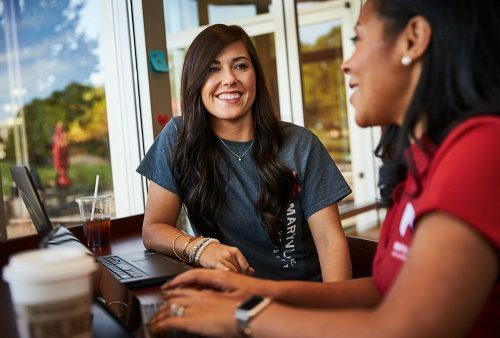 For nearly 150 years, we’ve continually offered a high-quality educational experience through the Maryville Approach ― a methodology that embraces innovation, a students-first focus, and a commitment to helping you accomplish your personal and professional goals. Now, online access makes it possible for more students than ever to pursue higher education and earn their college degrees ― without disrupting their lives. And that’s just a sample. You can see the full list at our rankings and honors page. We’re in it for your success. 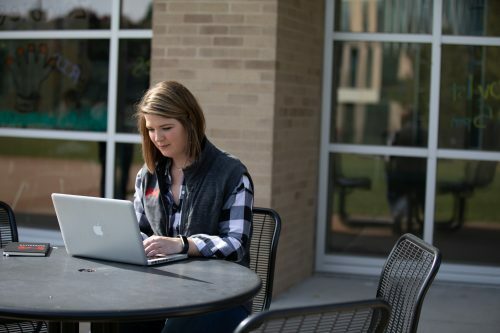 When you earn your online degree at Maryville, you get the same high-quality education as our on-campus students. We don’t compromise when it comes to academic excellence, and everything we do is designed to be student-centric, so you can be sure you have all the resources and support services you need to succeed in the classroom and beyond. Our faculty is focused on you first. Our faculty members are a large part of what makes us different, and the biggest reason our students are so successful. No matter which program you choose, you’ll have the opportunity to learn from a renowned group of industry leaders and subject matter experts with both real-world experience and a passion for helping you excel. 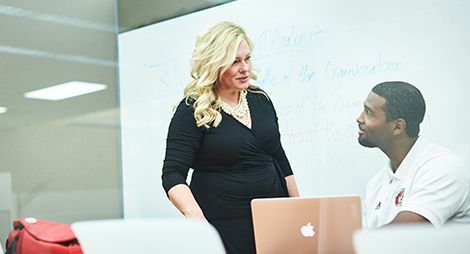 Our faculty are professionals and leaders in their fields who bring their experiences and knowledge into the classroom, but what makes them truly unique is that they’re about teaching first. 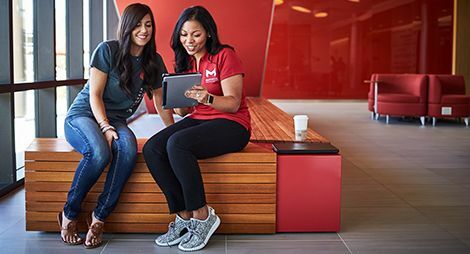 They embody Maryville’s philosophy of measuring our success by yours — and they are invested in helping you excel in the classroom, in your career, and beyond. Learn more about them on our faculty page. Want to get more information about Maryville Online? Ready to begin your preliminary application?